Fruit fasting is a sweet alternative to juicing or water fasting. This type of fasting give you the added benefit of something to chew. You will still lose weight quickly and also start to detox your system. Many believe it’s a great approach if you find juice or water fasting too difficult to attempt. Also fruit fasting is quite easy. Just wash your fruit and eat. No juicing to be concerned with and it’s easy to carry with you. The only fast easier is water fasting. Always use only fresh , ripe, good quality fruit for your fruit fast. Nothing canned or frozen. If you can, try to do a 3 day fruit fast for the first time. If you have to go back to regular food, do so, but limit your amounts. Don’t undo all the good you have done. Each time you do a fruit fast, try to increase the amount of days that you do it. You will be surprise at the results you achieve. Not only physically, but mentally as well. As with any fast, you are giving your body a chance to heal. As with any fast the same cleansing effect will happen, flushing the toxins out of your body. Maybe not as quickly, but still very effectively. You may have all the same symptoms as with any fast. Flu like symptoms, headache, and body aches. Don’t be alarmed, that’s just your body getting rid of all the toxins and healing itself. As for the sugar in the fruit, don’t be concerned. The sugar which is fructose is not as damaging as refined sugar and breaks down very slowly in our systems over a longer period of time. 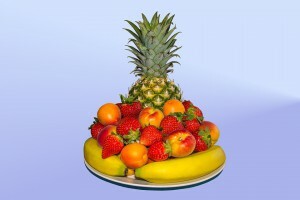 Eating a variety of fruits is one type of fruit fasting. You can have almost any fruit as long as it is raw. Citrus, grapes, and apples are the most popular and are vey cleansing. Try not to use bananas as they do not have the cleansing effect that other fruits have. Make sure you limit the amount of fruit you eat. 1-2 pieces per sitting is plenty. Eat slowly until full, no stuffing yourself. Usually 2 pounds is average for the day. That’s for 3-5 meals a day. Make sure you try different combinations of all the different fruits to make sure they work well together. One fruit type of fast. One fruit fast is the simpler way to begin a fruit fast. You stick with just one type of fruit throughout the whole time you are fasting. It might just be the easiest way to start. There is less of a reaction if you just eat the same fruit over and over. Although it might be a little boring. There is always juice fasting if this type of fasting does not appeal to you. Here is a great juicer if you prefer juicing. The best and most cleansing are apples, grapes and citrus. Make sure you eat slowly and stop eating when you are full. Don’t overeat.